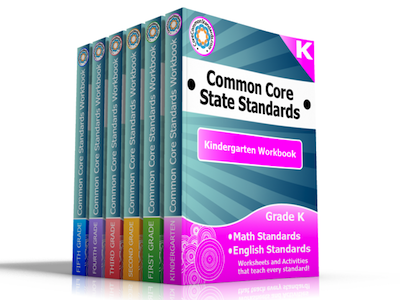 Are you in need of high quality Common Core Worksheets for teaching the Common Core State Standards? These grade level Common Core Workbooks by Have Fun Teaching are filled with hundreds of Common Core Worksheets, Activities, and Posters! Most states have now integrated the Common Core into their classrooms, so it is important that we equip our teachers with the tools necessary to teach the standards. Each Common Core Workbook is complete with hundreds of pages of Common Core Worksheets, Common Core Activity Centers, and Common Core Posters for every standard! Use these links to learn more about the Grade Level Common Core Standards: Kindergarten Standards, First Grade Standards, Second Grade Standards, Third Grade Standards, Fourth Grade Standards, Fifth Grade Standards. Check out these workbooks, and you will absolutely LOVE the Common Core Worksheets!